UPDATE: Microsoft has officially confirmed via a statement at its website that it will discontinue many of its unpopular policies regarding the Xbox One. 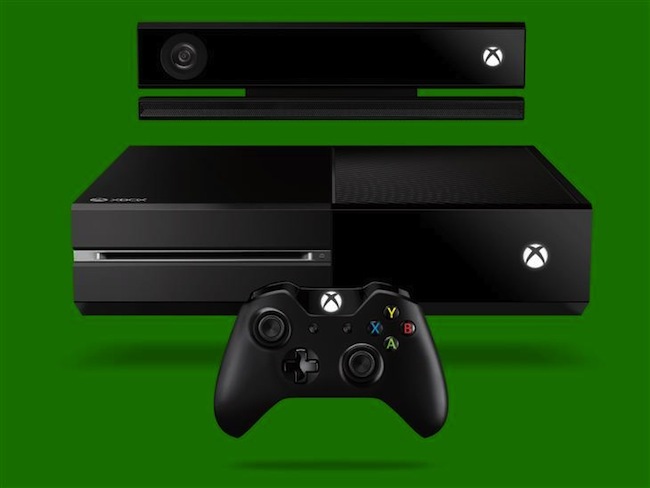 Thanking fans and consumers for their feedback and their help “reshaping the future of the Xbox One,” Don Mattick, president of Interactive Entertainment Business with Microsoft, discussed the importance of the company’s relationship with consumers. Mattick also confirmed that the Xbox One will not be region-locked, that games will be available digitally the same day they’re released at retail and those games will be playable offline. The backtrack does seem to put the kibosh on some of the more positive features associated with the DRM policies – the game-sharing feature seems to be dead, as Mattick writes that game sharing “will work as it does today, you will simply share the disc.” Downloaded titles will not be able to be shared or resold. In addition, the Xbox One will no longer be able to run games from an install without the disc in the tray, meaning that system will effectively work the same way it does on the Xbox 360. ORIGINAL STORY: The upcoming console war between Sony and Microsoft may have gotten just a bit more interesting. According to a report by GiantBomb, multiple sources say Microsoft will announce a reversal of its controversial and much-derided DRM policies for the forthcoming Xbox One sometime today. The policy change would reportedly abolish the system’s online requirements, including the the 24-hour check-in policy, although an Internet connection would reportedly be required when first setting up the console. Any restrictions on loaning or selling games would be lifted, as would any and all region-locking. Additionally, game discs would function as they do on the Xbox 360 – which is to say the way they have for all disc-based consoles to date. Downloaded games would also function identically whether online or off. If true, this is a big change for Microsoft, who has come under fire for their policies regarding the Xbox One and DRM since the system was first unveiled in late May. To be fair, however, much of that ire was directed as much at the way Microsoft spokespeople were promoting the policies as they were the policies themselves (exec Don Mattrick’s comment that gamers who don’t want a system with online requirements should just buy an Xbox 360 is already the stuff of legend). The reasons for the apparent reversal are, at this juncture, unclear, although it’s entirely possible that the proximity to last week’s E3 is a big tip-off. Last week, Sony was able to capitalize on the bad blood engendered by Microsoft’s policies by stressing its commitment to the used games market and the fact that there’s no online requirement for its upcoming PlayStation 4 system. The announcements were considered a big win for Sony at Microsoft’s expense, with the company even releasing a video poking fun at the Xbox One’s game-sharing restrictions. Until any official confirmation comes down the pipeline, it’s hard to know what to make of this one – although if it’s true it will certainly level the playing field this November in the eyes of gamers who consider Microsoft’s previously-announced policies anti-consumer. Of course, there’s still the matter of price – regardless of policy, the Xbox One will retail for $499 this November, a full $100 more than the PS4. If the news is true, what do you think? Will any jaded 360 fans be won back over by the reversal? Let us know in the comments.